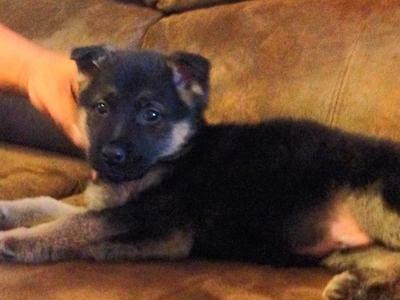 Dakota joined our family on December 27, 2013. Our family recently lost a female GSD to a rare, genetic disease. We exhausted every resource we had to save her and was heartbroken over her loss. A GSD in not just a family pet; they are truly a member of the family. Dakota came into our lives in what seemed a miracle. He has been with us five short days but we love him with all our hearts already. He is extremely intelligent, training well. His athleticism, loyalty, attentiveness, protective nature, and majestic look are a few examples of why our family pets have been German Shepherd Dogs. Kota looks like a little teddy bear. He is beautiful and sweet. He never leaves my feet or side. He loves to play with our white German Shepherd Dog. He integrated into our family with ease. 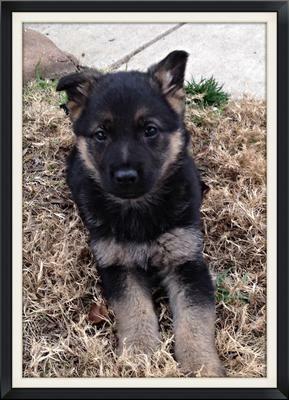 Congratulations on the acquisition of your newest family member, Dakota! He is quite the little cutie! I am so sorry to hear about the loss of your other German Shepherd but hopefully little Dakota will help make the transition a little easier. There is nothing like the love of a new little fuzzy bundle to left your spirits when you have a heavy heart. Continued success with him and all your other pets. 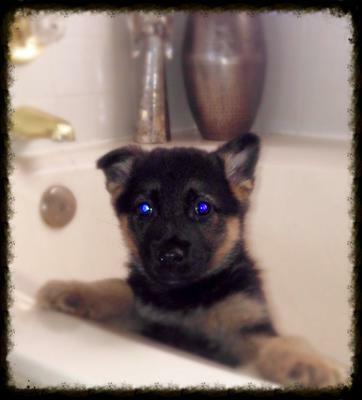 Thanks so much for all the wonderful pictures of your German Shepherd puppy too!! 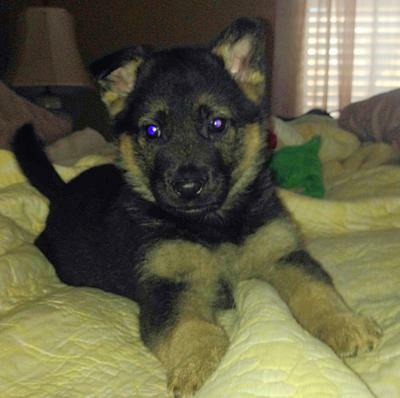 Comments for My German Shepherd Puppy, Dakota "Kota"
Your little puppy Dakota is so adorable! The puppy year is so important and I love it and miss it. German Shepherds are amazing breed, you know that better than anyone. You are both lucky to have each other. Sorry to hear about your lost. I'm sure the white Shepherd will love the little monster too. Take of care of your Shepherds and they will take care of you.